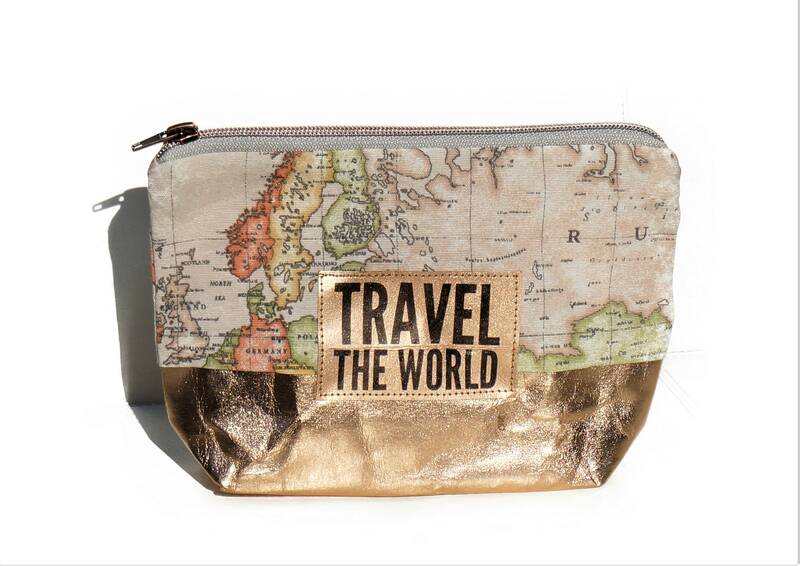 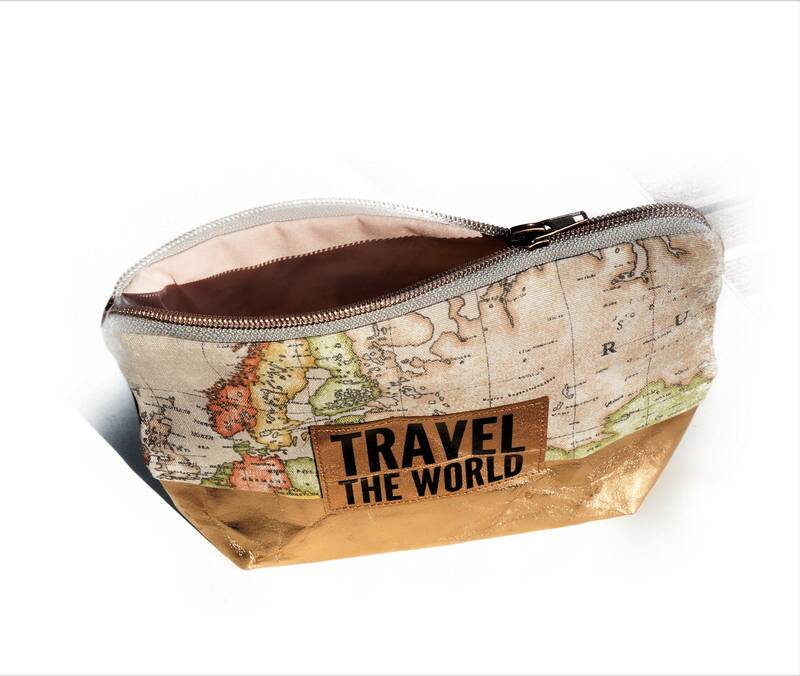 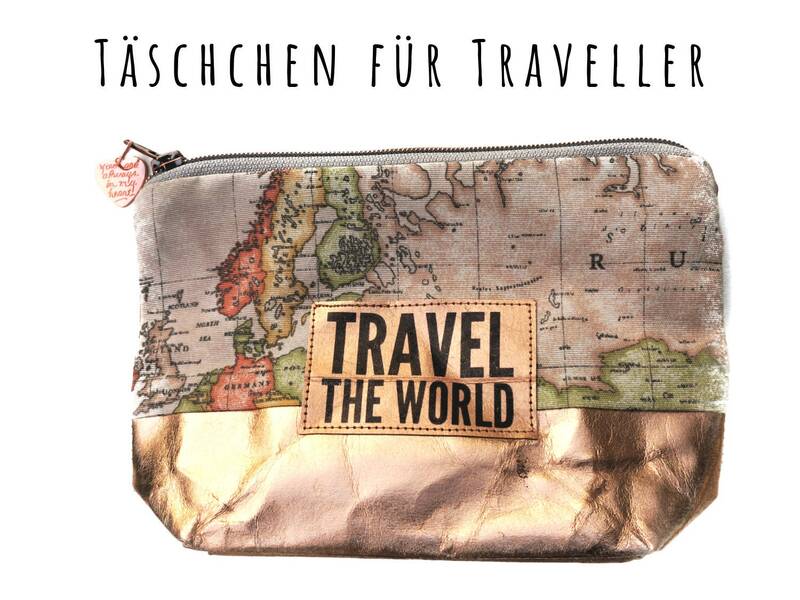 Noble Cosmetic Bag "travel the world" made of Pink-beige World card fabric (cotton/polyester) and roségoldenem vegan leather, a washable paper (similar to SnapPap). 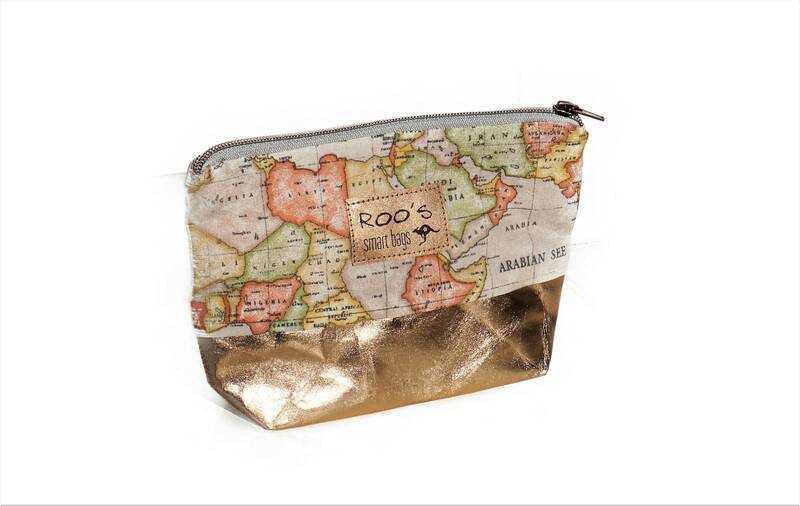 The make-up pouch with a size of 22 cm x 16 cm x 5 cm is lined with pink cotton fabric. 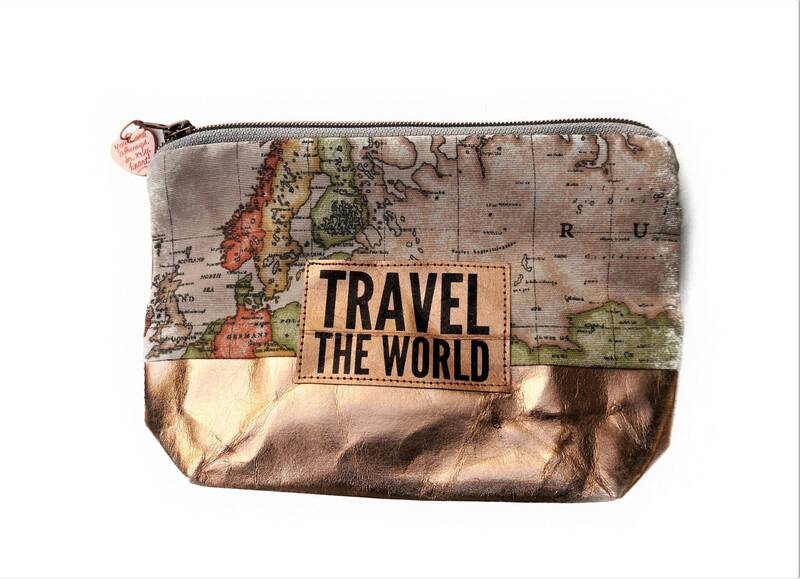 The small makeup bag is closed with a copper metal zipper. 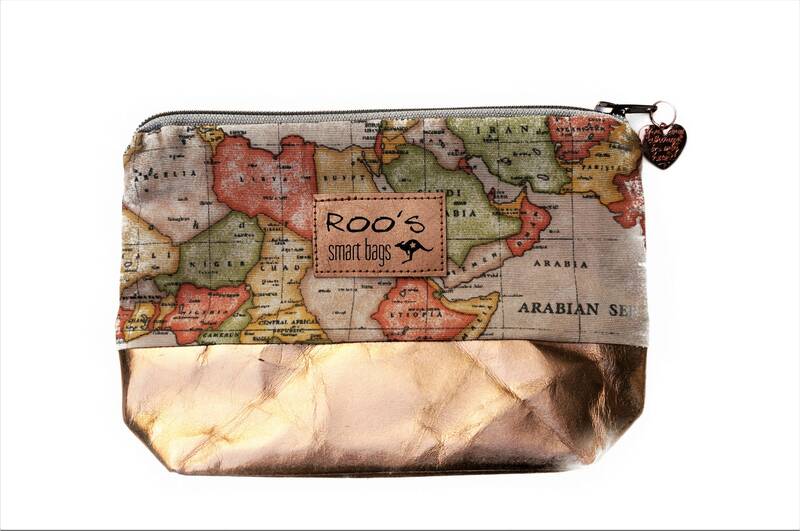 Attached to it is a little heart with the inscription "you are always in my heart".